Hon. 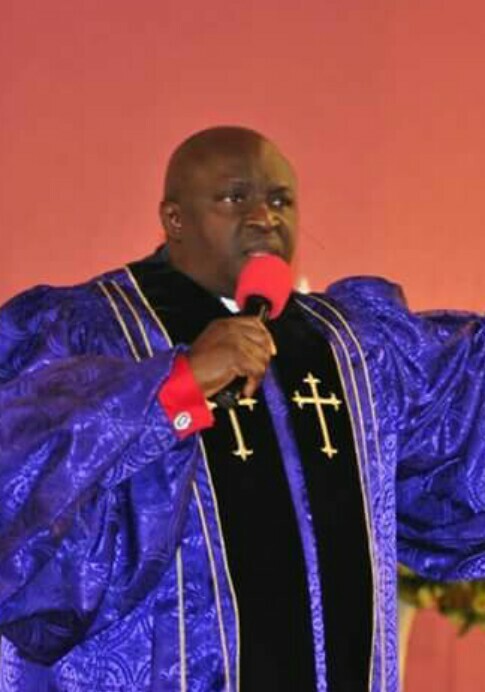 Justice SBA Candide Johnson of the State High Court, Lagos, has ordered, the writer/publisher of “Our Daily Manna,” Reverend Chris Kwakpovwe and the Registered Trustees of the Chapel of Liberty to pay a lawyer, Tamara Egbedi, the sum of N9, 454,000, for negligence. The female lawyer initiated this legal battle against Reverend Chris Kwakpovwe and the Registered Trustees of the Chapel of Liberty for broken teeth injuries she sustained when she attended a crusade organized by the clergy man. In delivering the judgment in SUIT NO: LD/359/2011, Justice Candide Johnson stated that from the evidence adduced by the parties, it is not in contention that Ms. Tamara suffered injuries at the venue in the cause of attending the crusade. “It is difficult not to observe that for the Defendants who put themselves forward as spiritual shepherds of their sheep that they appear to have demonstrated scant care and concern for victims of their January 2010 spiritual crusade and have likewise by the letter of their lawyers (Exhibit F) daring this Claimant to go to Court, the Defendants appear to have elected carnal warfare over spiritual warfare thus leaving it to the Courts of Law to intervene”. “It is virtually ridiculous for Rev. 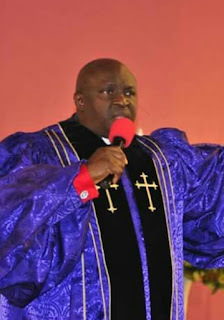 Dr. Chris E. Kwakpovwe as the presiding Pastor, and a registered Trustee of Manna Miracle Mountain Ministry and the Publisher/Writer of “Our Daily Manna” (ODM) to invite the general public and the Claimant to a program which they expected to and which “recorded a huge attendance” and then without any remorse or conscience, argue that they only rented space at the National Stadium so he and his religious ministry owed no duty of care or concern for the welfare and safety of the guests they had invited to their own spiritual “party” or event organized by them. It is this type of reckless impunity and conscientlessness that makes many people complain about callousness and wickedness in Nigeria. Mrs Egbedi sustained injuries when some of her family members attended the end of an anointing service organised by the defendants at the National Stadium in Lagos. Upon arrival, the Defendants ‘ ushers directed us to the available seats where unknown to them, there was an uncovered concrete gutter running in between the seats and she fell headlong into the gutter, which resulted into losing her 7 tooth and sustaining facial injuries. Informing Rev. Kwakpovwe at the end of the service, he handed her over to Mrs St. Matthew Daniels, a senior member of the church , who asked her to get estimate from a Lagos State University Teaching Hospital Ikeja (LASUTH) Dental Centre which she did but rather than doing the needful, they chose to inform Ms Tamara in a letter that they were helping her out of charity. According to Ms. Egbedi she was later surprised at the turn of the whole matter when the Defendants changed their co-operative attitude after her lawyers demanded compensation in a letter dated 3/3/2010 from the Defendants, who insensitively responded in letter dated 26/3/2010 (EXHIBIT F) denying liability. “Furthermore, the monetary offer of the sum of N100, 000.00 made to your client was out of charity, our client being a ministry devoted to the spread of the word of God which encourages charitable deeds.” Exhibit F ended unfortunately with the brazen, insensitive and impolite words “we close by saying that your client’s claim is a gold digging venture, but if she feels strongly about it we expect to meet you in Court,” the letter read. Additional Information from Global Excellence Online.